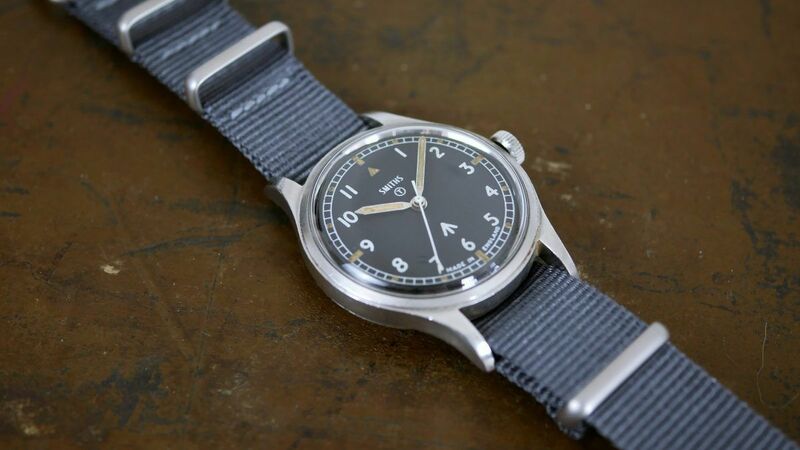 The Smiths 6B/9614045 RAF variant of this iconic British military timepiece is extremely rare and far less common than its W10 Army counterpart. 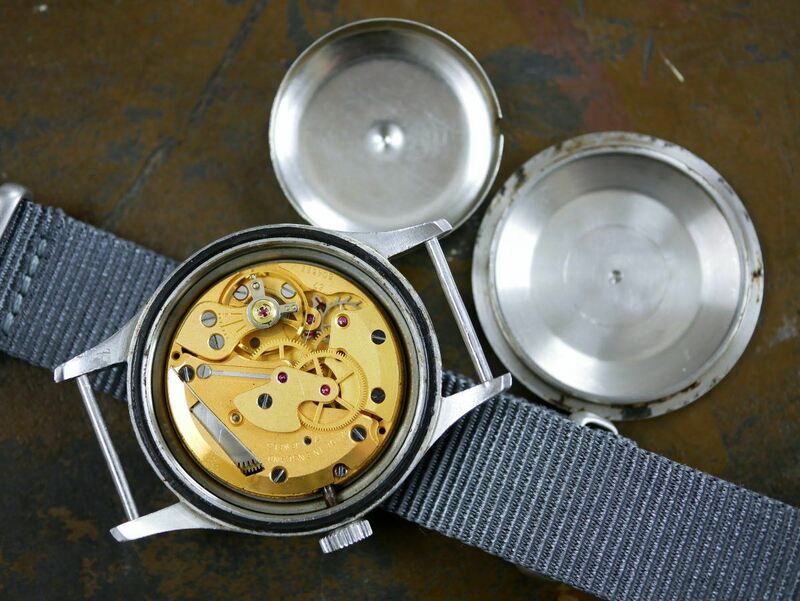 These watches were issued to the RAF in very small numbers for two years only from 1967 to 1968. 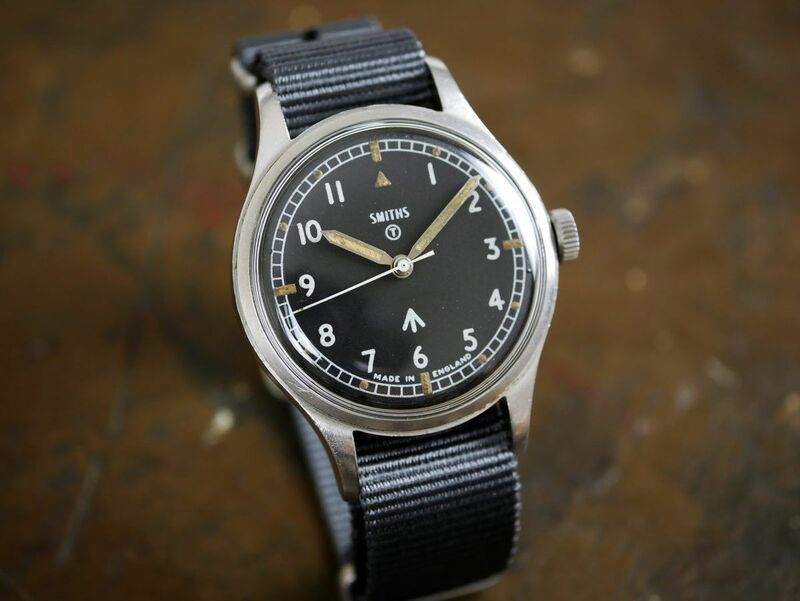 It is estimated around 1,000 were issued to the RAF in 1967 and only 250 in 1968 which makes the watch for sale extremely sought after and highly prized by watch collectors and military enthusiasts alike. The Smiths 6B/9614045 for sale is in excellent overall condition. The dial is in lovely condition with no obvious flaws or blemishes. 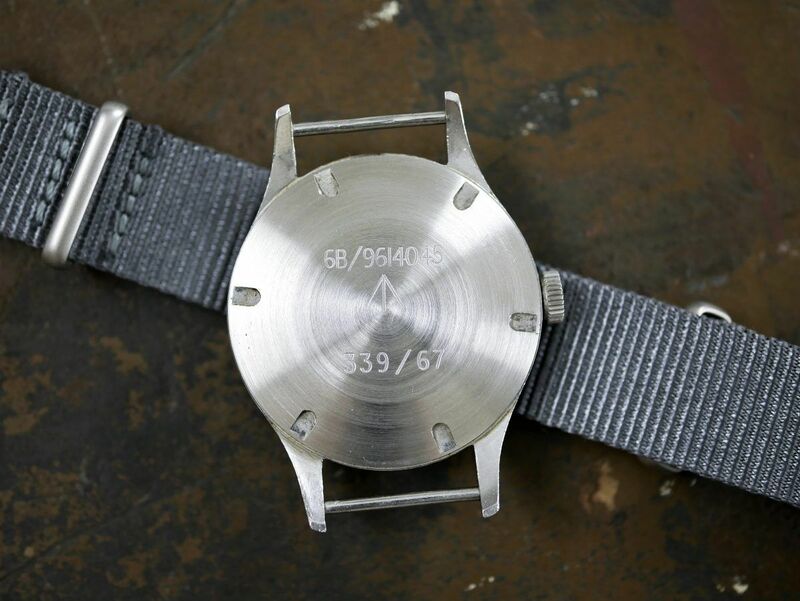 The watch diameter is 36mm. The watch is listed for sale on our website priced at £1,995 which includes a newly fitted NATO strap and quality handmade leather watch pouch. This price includes free shipping for members of Chronotrader! All our items are guaranteed to be completely genuine and authentic. We offer a fourteen day "no quibble" money back guarantee on all the items we sell together with a full six-month warranty on all our wristwatches and clocks. This means that you can buy from us with complete confidence.